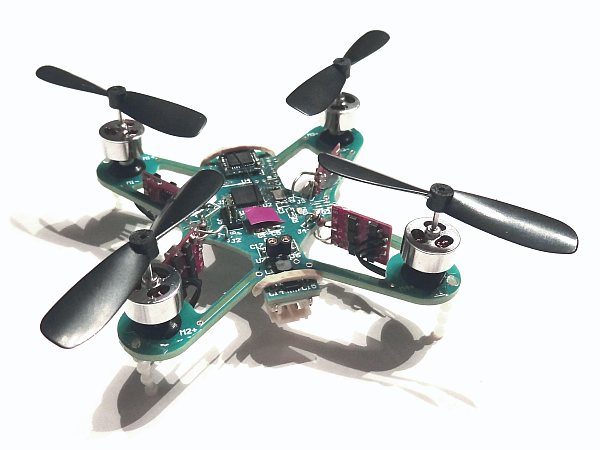 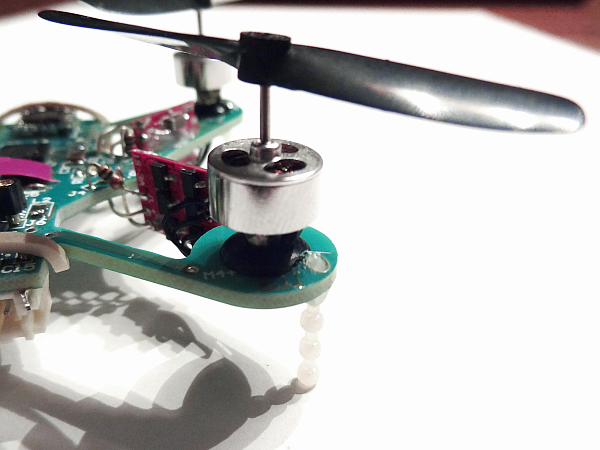 After the construction of the first quadrocopter with directly mounted motors and the resulting vibrations that affected to the readings of the IMU and make this Quadcopter difficult to control, for the other structures, a new, but still simple, absorbing motor mount was sought. Inspired by the so-called vibrationreducer of model helicopters I searched in this the area of implementing rubbers for a suitable solution. 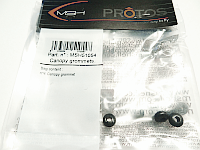 Canopy grommets may be used for very small motor diameter. From 4mm to 10mm normal small implementing rubbers can be used. This gets you all on the Internet. 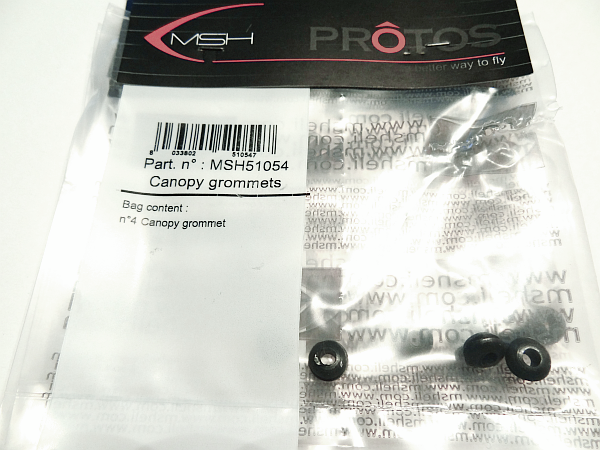 And so I found the canopy grommets MSH51054 for Protos500 helicopter as perfectly appropriate suspension damping for Hextronik 2g brushless motors. 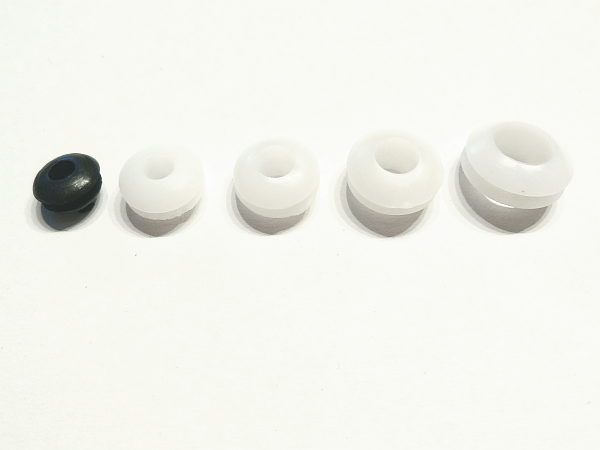 For the other engines I use tiny implementing gums, which I bought as I said on the internet. 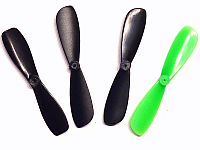 Since the Ladybird feet, mounted directly on the engine, can no longer be used and for the other engines anyway a generic solution is needed, I searched for 'any' best variant of lightweight plastic. 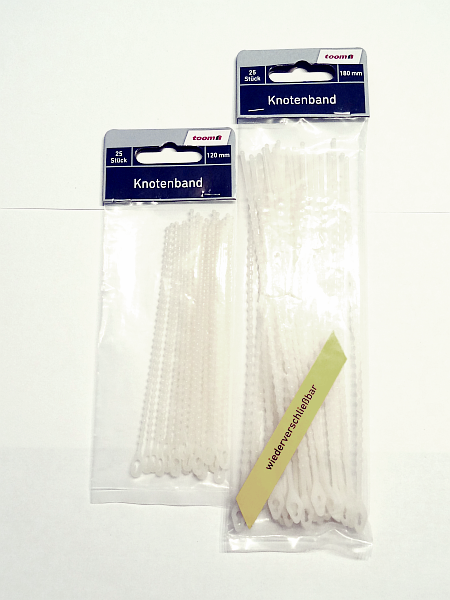 By chance I found in a hardware store "Knotenbänder (node bands ?)" 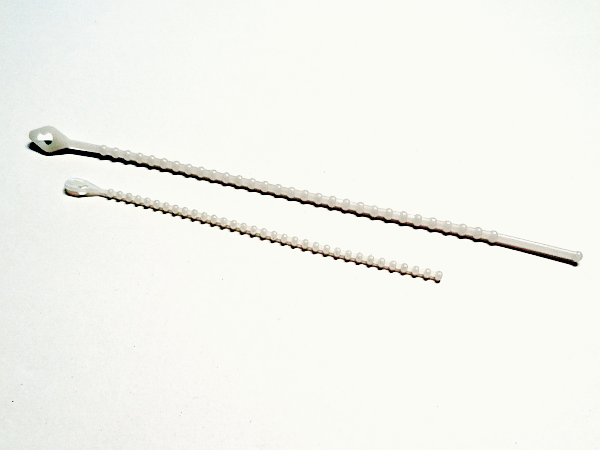 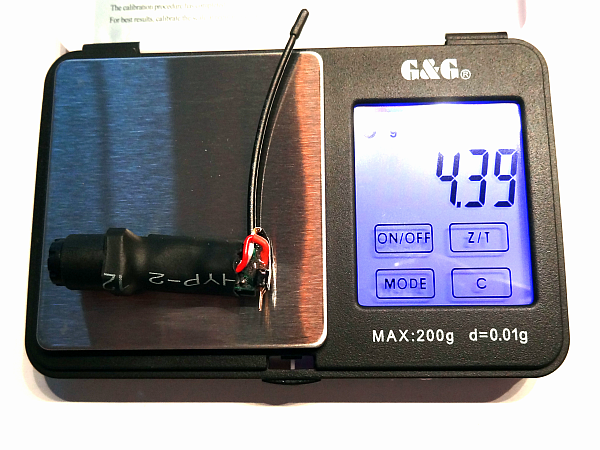 of which represent short segments the perfect solution - flexible yet stable enough. 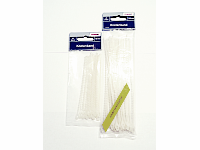 Pasted in the holes, which were intended for the feet or a protective frame, they meet the exact requirements. 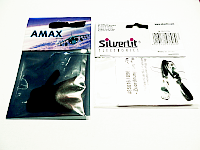 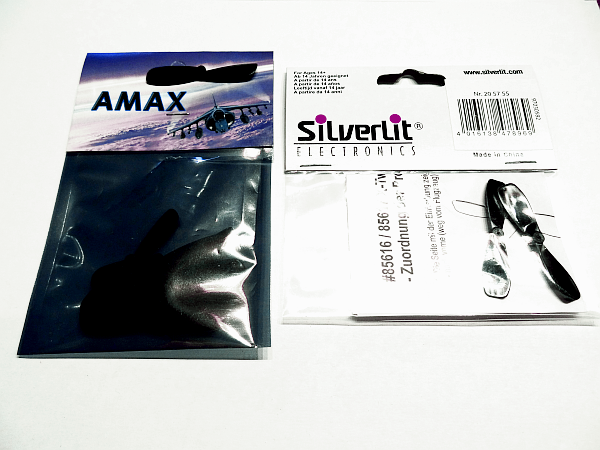 For the propeller I was looking for an alternative to the Silverlit X-Twin sets. However propeller under 50mm are not typical. 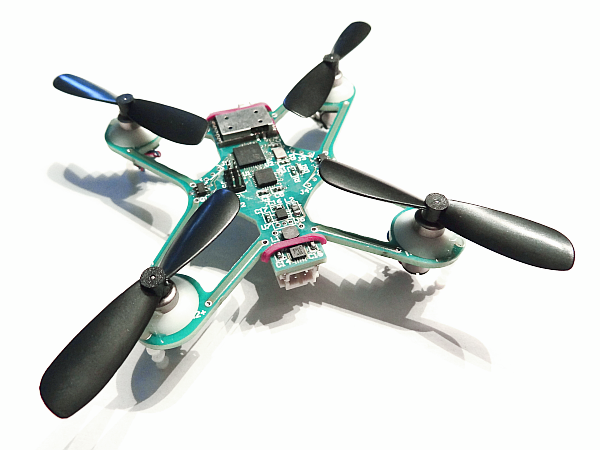 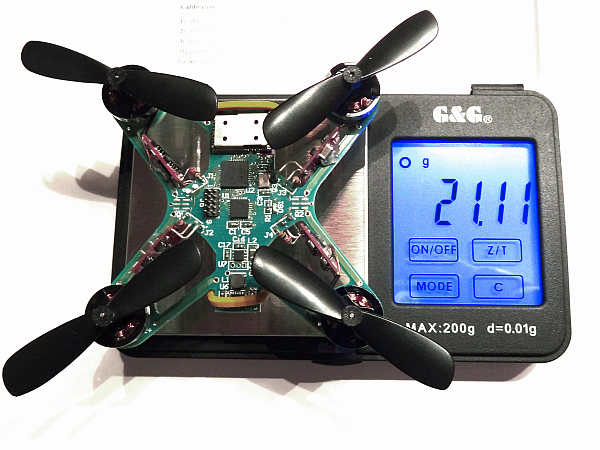 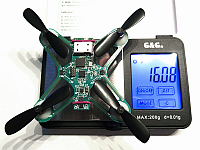 For Amax and the Blade Nano QX I found one with 46mm propeller. 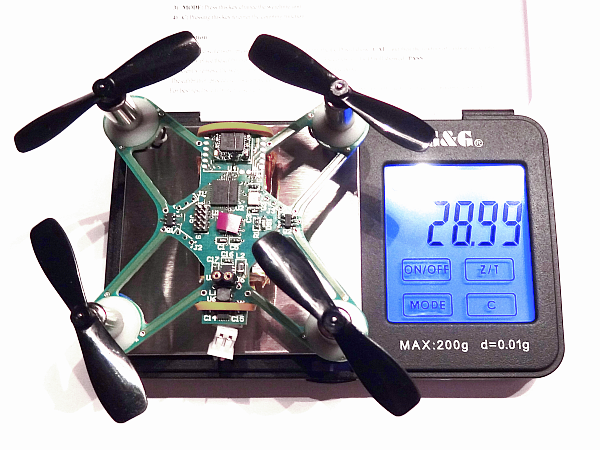 The motors of the second building's sitting with Hubsan motors & DSM2-receiver intentionally so high. 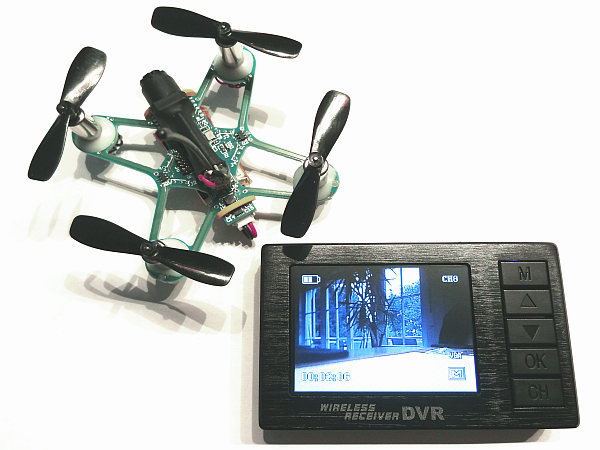 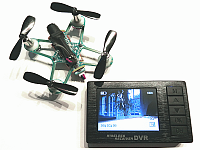 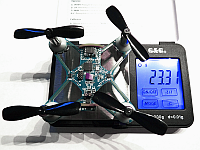 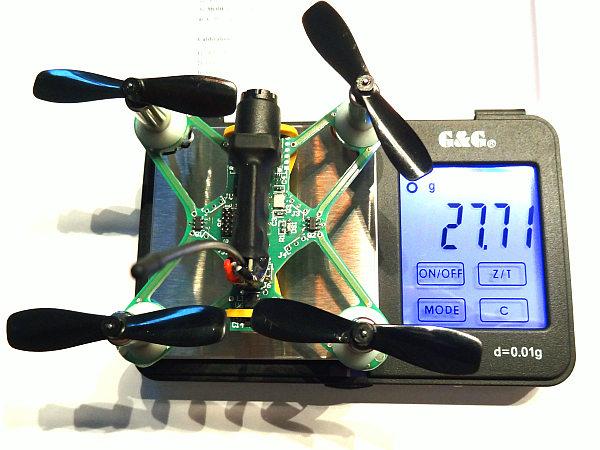 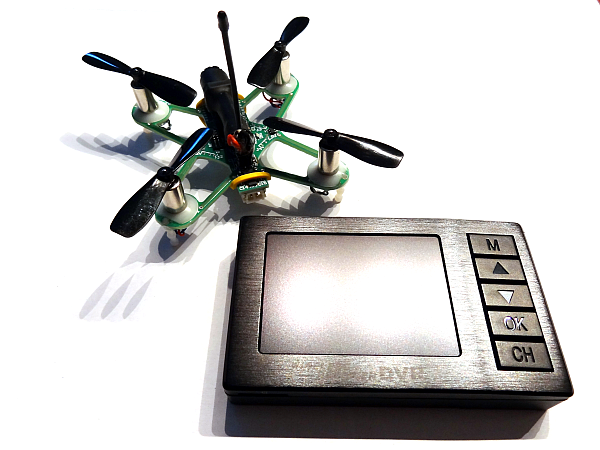 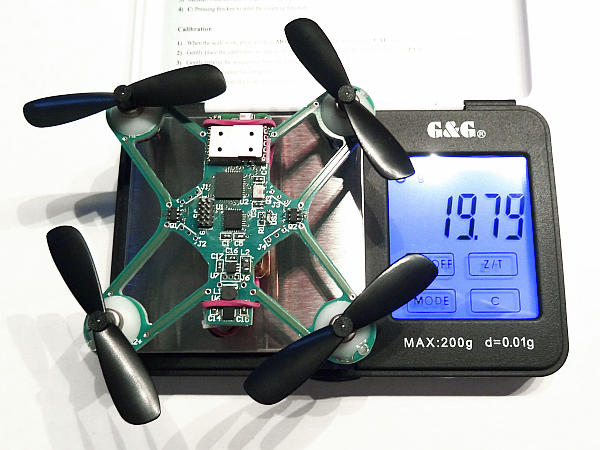 This structure should be the first option on which the 5.8GHz camera is to be tested as a FPV. 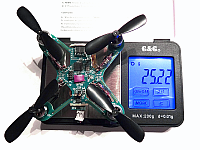 Certainly the scheme must be trimmed again - after all, the added cam brings a additional weight of more than 4gram with it. 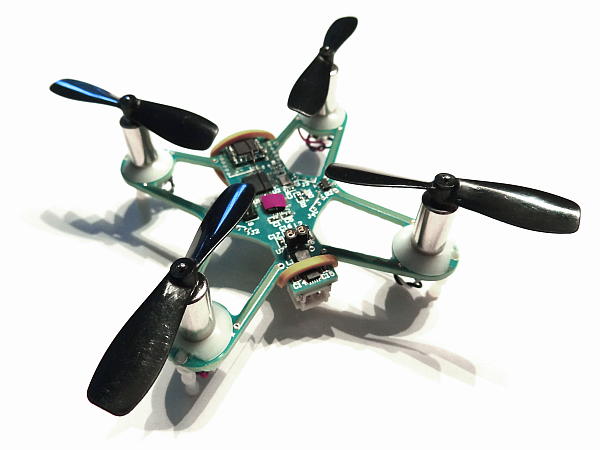 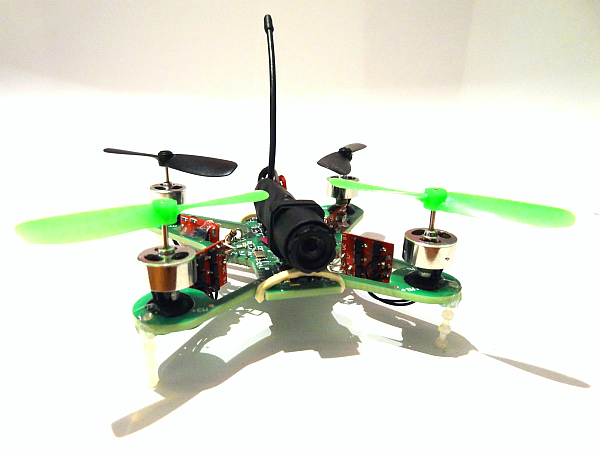 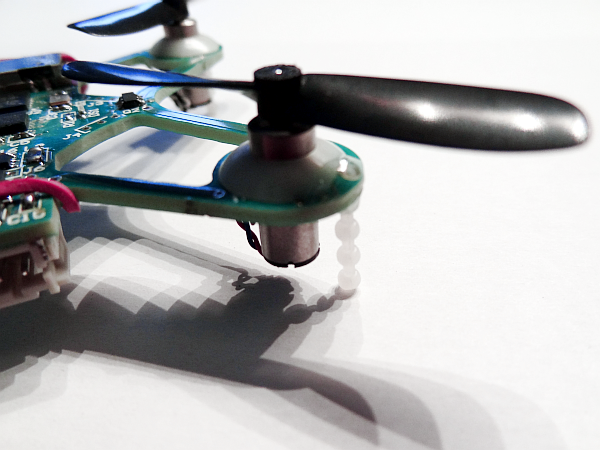 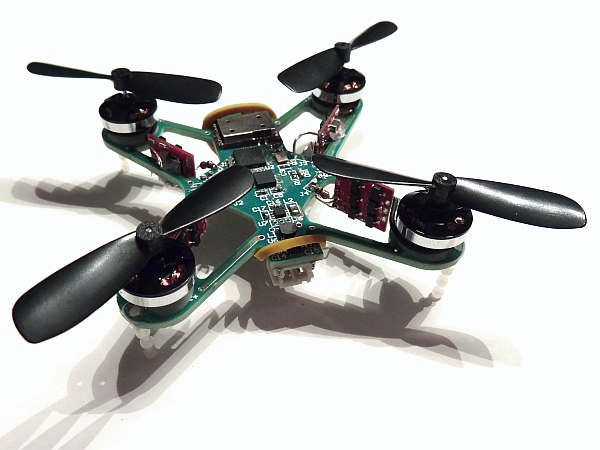 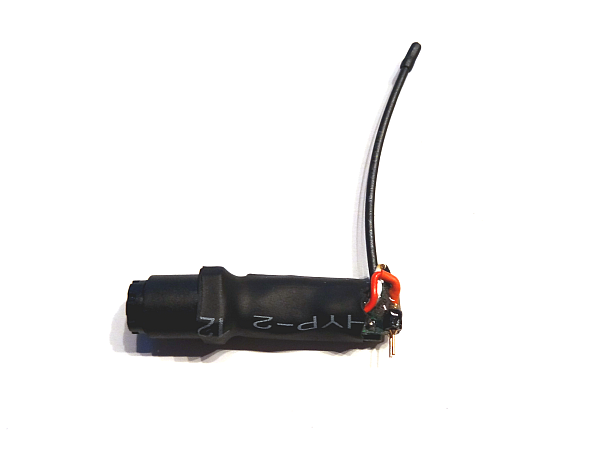 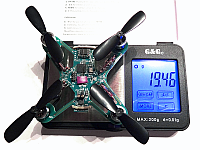 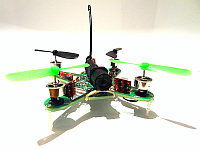 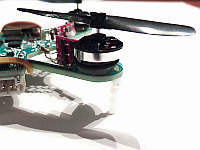 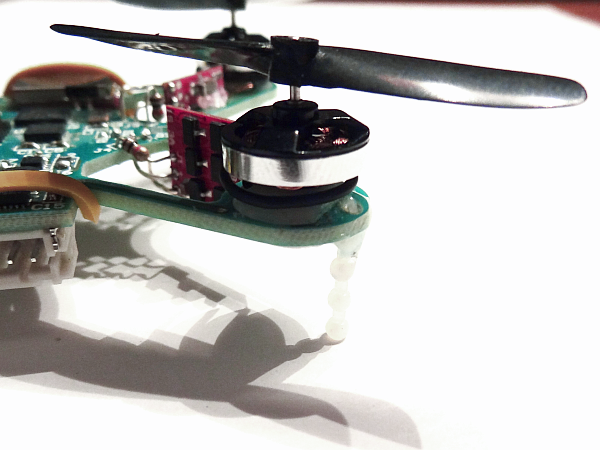 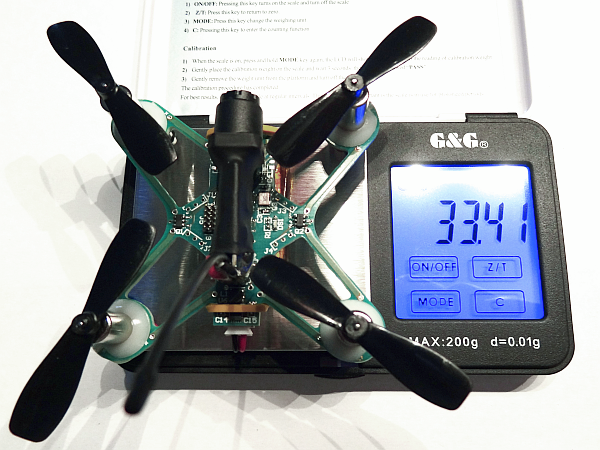 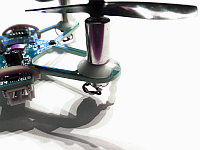 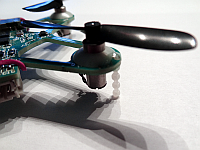 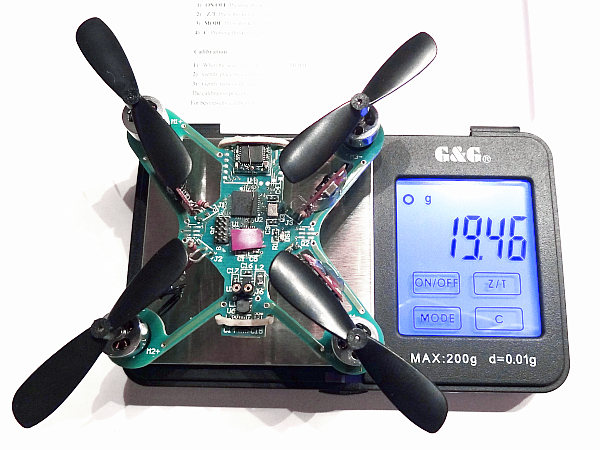 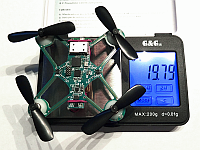 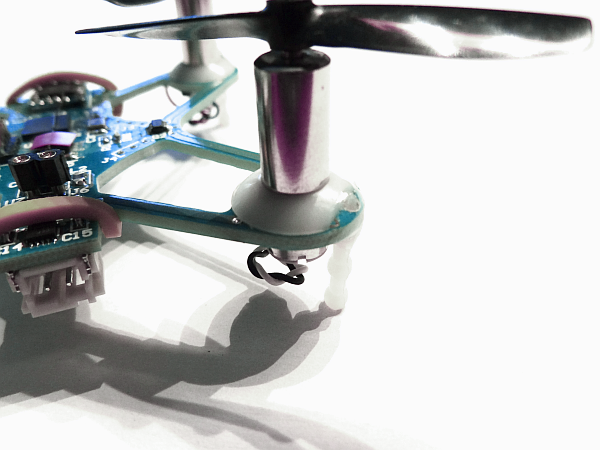 And also with the Hextronik 2g brushless motors a good FPV version can be realized. 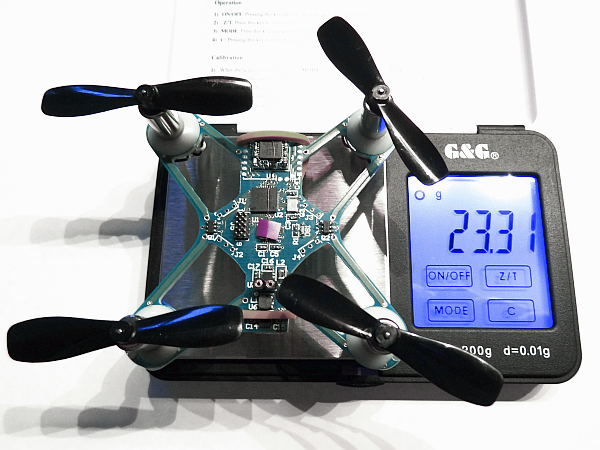 These motors are (in this case positive) high enough to mount the 5.8GHz camera.